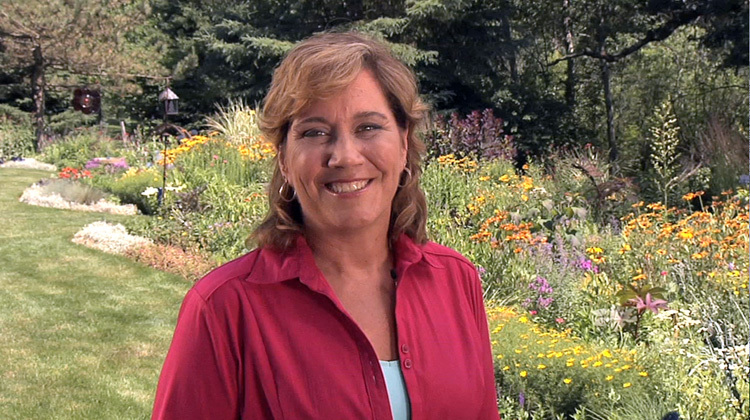 It's not just about the flowers when it comes to selecting perennials for the landscape. The purple leaves of this bugbane (Actaea formerly Cimicifuga) hold its place in the shade garden until the white flowers appear in fall. Try combining with purple and pink flowered perennials. Lady's mantle is enhanced by the early morning dew or after a rainfall when the water beads up and glistens in the sun. Shade from the hot afternoon sun will help prevent leaf browning. The silver and red highlights of Japanese painted fern make it a standout in the shade. The delicate fronds contrast nicely with the bold leaves of hostas. The bronze tinged foliage of Copper King hardy hibiscus serve as a focal point and unifying feature. And the flowers of Knautia and Rudbeckia as well as the seed heads of Karl Foerster feather reed grass echo its impact. A bit more information: Include some annuals with unique foliage color. Black Velvet geraniums (Pelargonium) nearly black leaves make the pink, scarlet, rose, coral, and salmon flowers pop. Or combine purple ruffles basil with yellow calendula, zinnia, and marigolds for a focal point in a container or flowerbed.